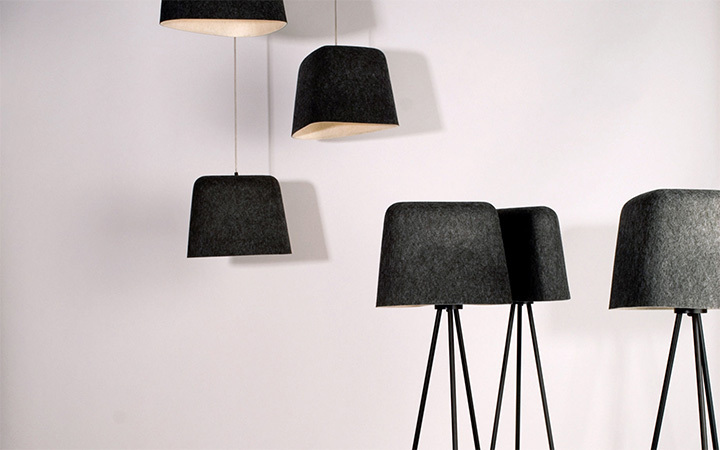 There is nothing shy about what we perceive to be the 2019 lighting trends in interior design and the designers’ current choices in both shape and materials. While the traditional lamp, sconce or chandelier have a permanent place in the heart of those who love everything beautiful, new experiments in lighting take interesting and fortunate detours that can only make them happy. Here is, for example, another way of thinking about ceiling lighting. Rather than being the instrument that draws attention to other structural elements, furnishings or accent pieces, these fixtures step into the forefront and become “the” space. Zigzag lighting, inspired by mountainous landscapes define the look of the Japanese-inspired Matcha-Ya café in Sydney, created by McCartney Design. It also makes the venue attractive to young clients who want the best snapshot of the products they consume. The lighting is an expression of the modern attraction to geometric patterns, combined with a minimalist approach to design that finds beauty in simple, linear structures. Another way of taking advantage of the modern interest in geometric structures is this gorgeous Halo Crystal Chandelier designed by János Héder for the Manooi collection, and inspired by the halos that sometimes appear around the Sun or the Moon. 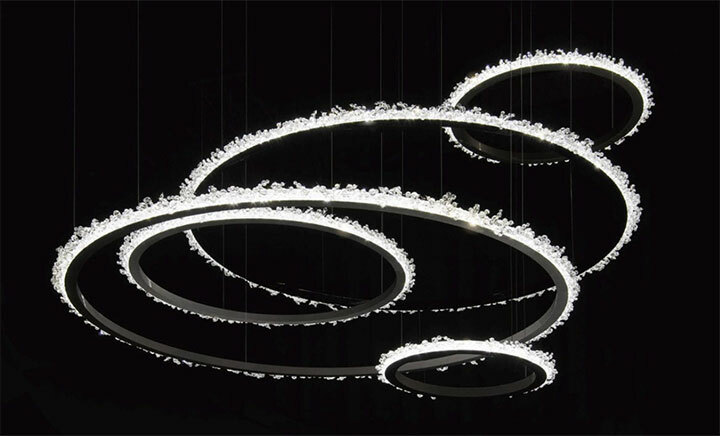 The design is dreamy, ideal for creating a romantic, intimate ambiance, and emphasized by the elegant combination of LED lights and Swarovski crystals. The use of a minimal quantity of materials helps in obtaining this ethereal look. A nostalgic interest in everything that defines urban life makes industrial fixtures an attractive option and an important part of the 2019 lighting trends. 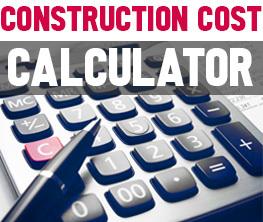 However, “industrial” does not necessarily mean raw, old or unpolished. 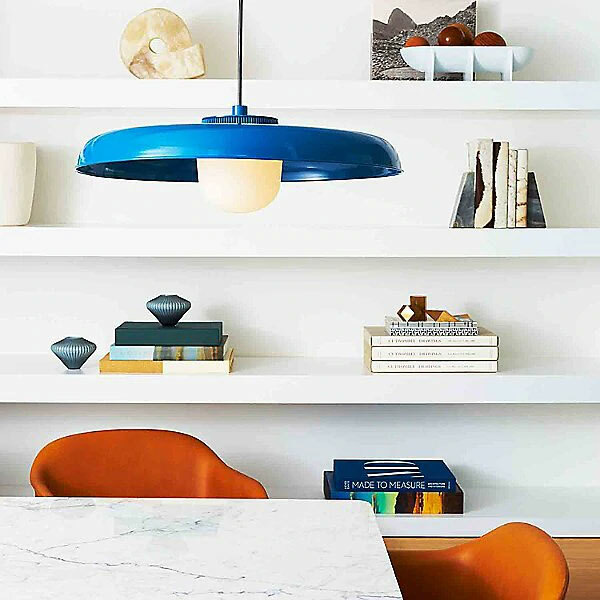 This Hoist Pendant Light by Rich Brilliant Willing keeps the spirit of the industrial game, but enhances it with color, soft curves and graceful lines. An exposed glass diffuser may even bring to some minds the image of a flower pistil, which gives this piece a soft look, not often associated with the industrial style. When turned into a sconce, the same light fixture becomes a piece of wall decor, that brings in not only the light, but the color, the texture and the three-dimensional look. 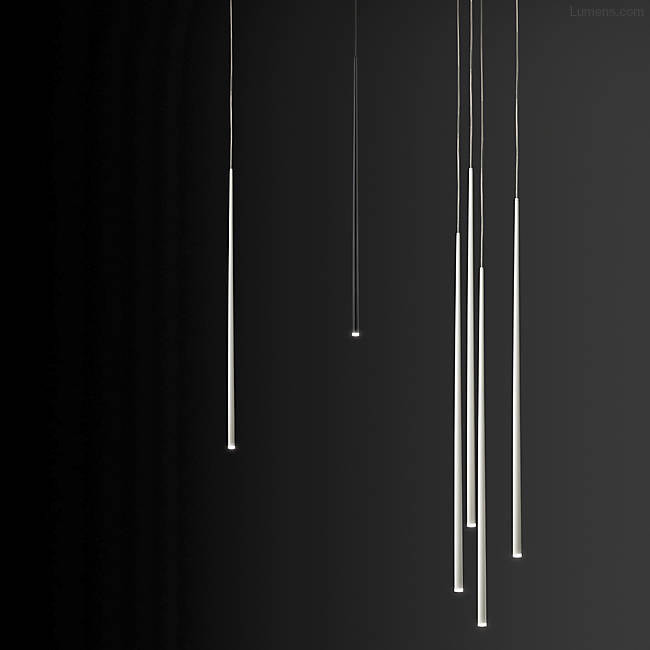 When it comes to mini pendants (generally used in creating lighting configurations that divide the light among multiple sources), svelte, elongated lines are important in keeping the eye traveling upwards. Some designs create the illusion of descending light, or even mimic natural phenomena. The Picolo Mini Pendants by ET2, with their elegant vertical construction, do just that with their polished chrome subtly reflecting the light concentrated in the LED module at the bottom. 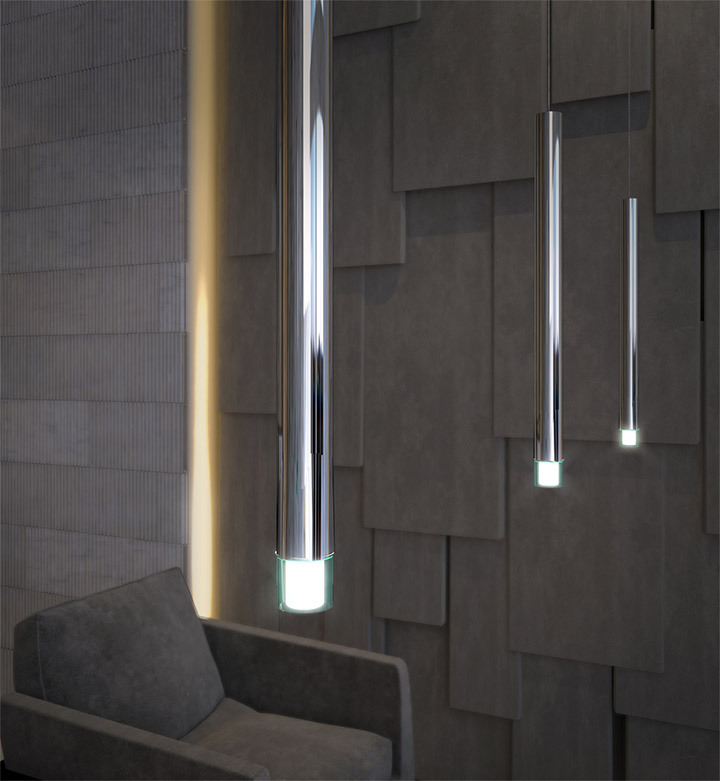 A similar (and more expensive) design accentuates the beauty of this vertical construction in these Slim LED Multi-light Pendants by Jordi Vilardell. More than three feet in length, they replace the heavy upscale chandelier with a more modern and graceful option that look splendid descending from very high ceilings. 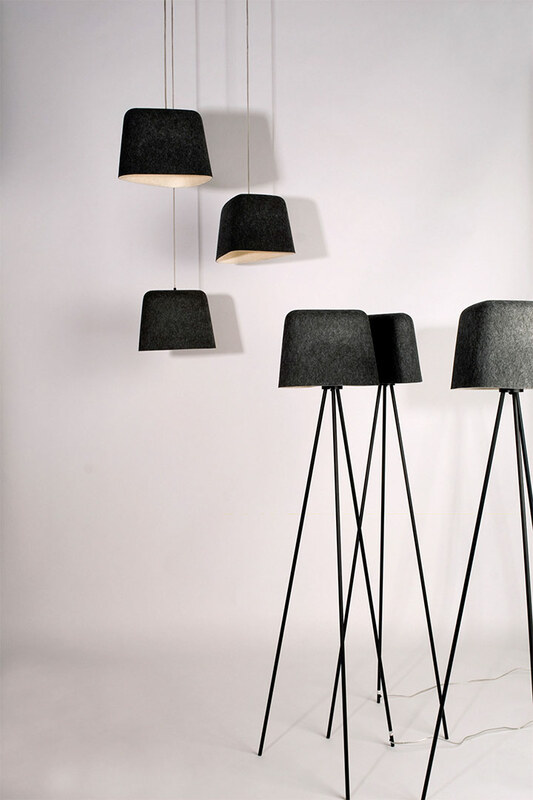 On a more playful note, these felt shade pendants and floor lamps by Tom Dixon step away from the cold look of metal and use a more textured and approachable material. It is a perfect expression of the fact that, while enjoying minimalist, industrial or geometric structures, modern tastes do not reject a warmer, more calming look – and that the 2019 lighting trends offer ingenious ways to satisfy them.